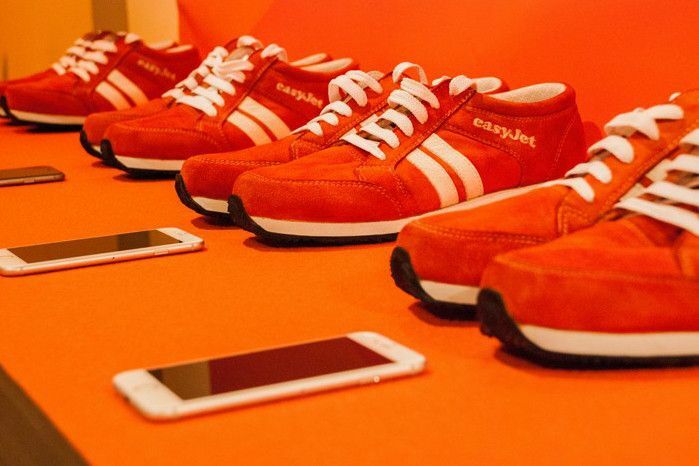 EasyJet has released a smart sneaker project that lets your shoes guide you around a city. When synched with your phone your left or right sneaker will vibrate to signal the direction you should walk to get to your destination. It ostensibly frees you up to get your head out of your phone (or map) and be more aware of your surroundings. They’ve built in the ability to wander or stop and have the route recalculate as a writer from Wired wrote in his review of the shoes. Or at least be freed up until you enter the next destination. I could see this evolving into tours and a kind of pedestrian rally event. 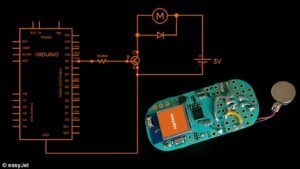 The device fits in the heel of the shoe and from the digram below is a battery powered Arduino, bluetooth, with a buzzer. I wonder if the project was inspired by an inflight showing of Mission Impossible 3 in which Tom Cruise was directed via headset around Shanghai by Ving Rhames followed by a drive with Waze.